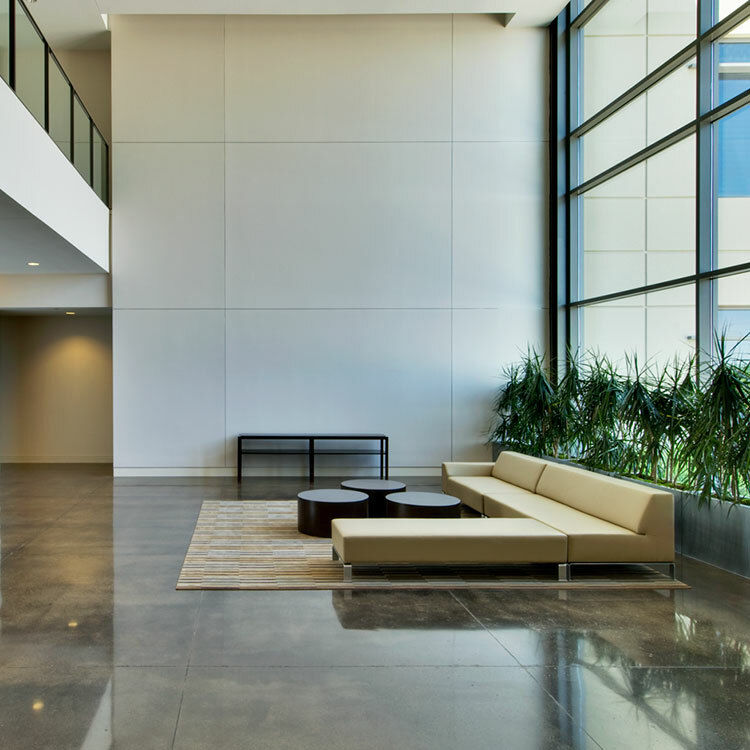 Wilcox 190 Center, located at State Highway 190 and Independence Parkway in Plano, Texas, is a three-story, 185,000 SF commercial office building that is LEED Gold Certified. It is the first building in the City of Plano to become a LEED certified facility. The site is a perimeter parcel of a major corporate landholding. The corporation is headquartered on the property as well. It is located at the intersection of an eight lane tollway, President George Bush Turnpike (State Highway 190), and Independence Parkway, a major arterial roadway in Plano. The corporation decided to sell some of the perimeter tracts for development by others. These perimeter parcels had been maintained in a token agricultural function for tax purposes. As a result, two original “fence rows” lined with mature trees remained intact on the property. These fence rows were identified by the design team as a major existing, natural asset, and became the primary organizer for the site plan of the project.